Just few weeks ago many Kylie Minogue's fans (and Jason Donovan's too!) were very upset and disappointed when the Hit Factory Live concert was cancelled right before its scheduled date, July 11th, 2012. Since then they have been talking about Kylie's love and care for fans and how she and her team would come up with something to make this reunion possible for those who waited for 23 years for it to happen. And it looks like after all it IS going to happen for all of us to witness, some time soon! First chance, the rumor has it, there will be the ITV1 special which will celebrate Kylie’s 25-year music career will be shown Live Christmas night at 7p.m. on ITV (and repeated at 11p.m. on New Year's Eve on ITV2). "We are going to do it again at Christmas. 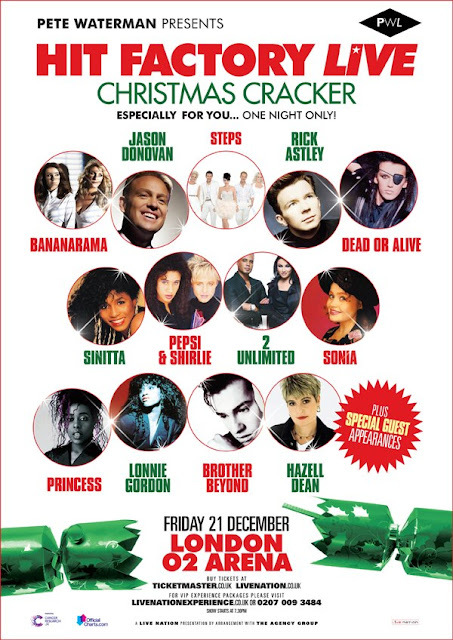 We are going to do two nights at the 02 or at least one night, we've just got to confirm one artist who is due to go home for Christmas, I'll give you a clue there. I just have to convince that artist to stay here until at least Christmas Eve and we can do it all the way we want to." "Possibly, yeah. I can't commit to it as I've got a lot going on. But if they're doing the show and if I'm around then I'd love to be a part of it. God, there's getting to be so much pressure on that one song!" So I hope it happens. That's a really long way around of not answering a question. I hope it happens. I just can't say it's a yes at the moment." Tickets go on sale on Friday (October 19) at 9am from www.livenation.co.uk & www.ticketmaster.co.uk. Timebomb - Kylie's 6th Consecutive #1 Dance Hit On Billboard! The Hot Dance Club Songs chart is a weekly national survey of the songs that are most popular in US dance clubs. 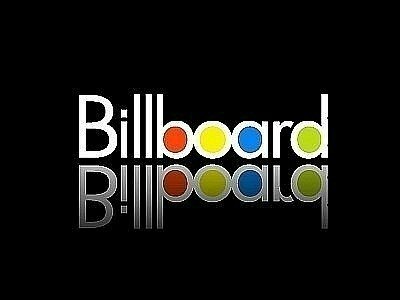 It is compiled by Billboard exclusively from playlists submitted by nightclub disc jockeys who must apply and meet certain criteria to become "Billboard-reporting DJs." Kylie Minogue's "Timebomb" is becoming Kylie's 6th consecutive #1 song, with all four singles from Aphrodite album (All The Lovers, Get Outta My Way, Better Than Today, Put Your Hands Up) and Higher (Taio Cruz collaboration) being her five previous #1s on this chart! 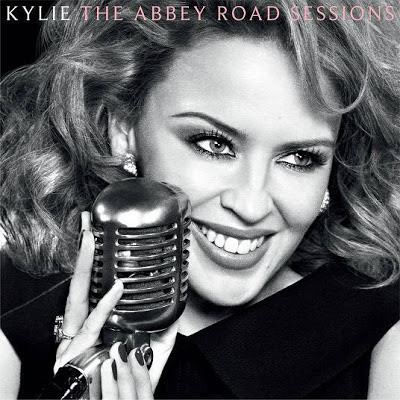 This is Kylie's 9th song (Can't Get You Out Of My Head, Love At First Sight and Slow being the other two) to make it to the top of the chart, a new record for Kylie and an amazing achievement. Just to remind, she also made chart history in February 2011 for being the first artist to have two songs in the top three of the Hot Dance/Club Songs chart simultaneously. This milestone was achieved with the songs "Better Than Today" from her studio album Aphrodite, and "Higher", a collaboration done with Taio Cruz. Exciting time has come - summer Olympics is here! And this time the lucky Brits are buzzing, because this year one of the most watched events on Earth is going to be held in their own city of London from 27 July until 12 August 2012, followed by the 2012 Paralympic Games from 29 August to 9 September 2012. This year over 10,000 athletes from 204 National Olympic Committees (NOCs) are expected to participate in 300 events at the Olympic Games. 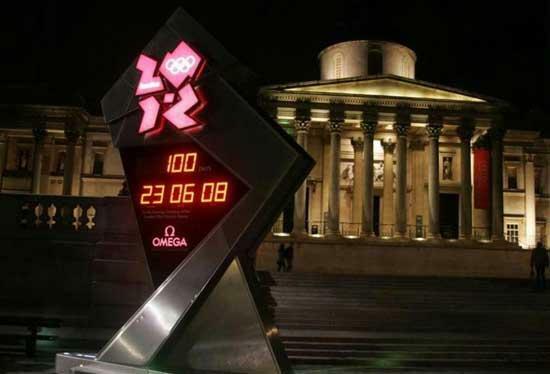 London was selected as the host city on 6 July 2005 during the 117th IOC Session in Singapore, defeating bids from Moscow, New York City, Madrid and Paris. London will become the first city to officially host the modern Olympic Games three times, having previously done so in 1908 and in 1948. The 2012 Olympic and Paralympic Games use a mixture of new venues, existing and historic facilities, and temporary facilities, some of them in well-known locations such as Hyde Park and Horse Guards Parade. Some of the new facilities are going to be reused in their Olympic form, while others will be resized or relocated. The majority of venues have been divided into three zones within Greater London: the Olympic Zone, the River Zone and the Central Zone. In addition to these are those venues that, by necessity, are outside the boundaries of Greater London, such as the Weymouth and Portland National Sailing Academy on the Isle of Portland in Dorset, which will host the sailing events. Football tournament will be staged at several grounds around the UK. The above 26 sports of the London Olympics 2012 will take place in 28 venues and 20 Paralympic sport will be held in 21 venues. The official mascots for the 2012 Summer Olympic and Paralympic Games were unveiled on 19 May 2010. They are named Wenlock, after the Shropshire town of Much Wenlock, which held a forerunner of the current Olympic Games, and Mandeville, after Stoke Mandeville, a village in Buckinghamshire where a forerunner to the Paralympic Games were first held. The writer Michael Morpurgo wrote the story concept to the mascots, and an animation was produced. Approximately 4,700 Olympic and Paralympic medals have been produced by the Royal Mint. They were designed by David Watkins and Lin Cheung. The medal weighs 375–400g, has a diameter of 85mm and is 7mm thick, with the sport and discipline engraved on the rim. The obverse features Nike, the Greek goddess of victory, stepping from the Panathinaiko Stadium that hosted the first modern Olympic Games in 1896, with Parthenon in the background; the reverse features the Games logo, the River Thames and a series of lines representing "the energy of athletes and a sense of pulling together". The Opening ceremony of the 2012 Summer Olympics will be held on 27 July 2012 and be called "The Isles of Wonder". The games will be officially opened by Queen Elizabeth II and Prince Philip, Duke of Edinburgh. A short film starring Daniel Craig as secret agent James Bond will be screened during the television coverage of the ceremony. Sir Paul McCartney has announced he will perform at the end of the ceremony. The Closing ceremony of the London 2012 Summer Olympics will start on 12 August 2012. The ceremony will include a handover by Boris Johnson, Mayor of London, to Eduardo Paes, Mayor of Rio de Janeiro, the host city of 2016 Summer Olympics. "We asked you to submit your fan questions for Kylie Minogue, and she dutifully answered when she came to MTV in New York City last month and was so charming, lovely, and down-to-earth that she set the bar on extremely nice famous people against whom all other famous people will be judged forever. Anyway, get your minds and brace yourselves, because you're about to hear it straight from the mouth of a goddess. Kylie's celebrating 25 years in pop music -- it's legitimately been a quarter of a century since her Kylie album debuted, and I can't even get my mind around that -- with her year-long K25 anniversary, which includes re-releases, exclusive shows, and more. Accordingly, we were dying for at least one of you to ask Kylie how she manages to stay so smokin' (please refer to her "Timebomb" video as proof), but nobody did. What's up with your decorum, Kylie fans? Guess we're the only nosy brutes around here. Watch Kylie Minogue answer your fan questions after the jump." First surprise that did NOT leave a single one of us untouched! I cannot describe the feeling, excitement, joy, happiness and love that was in the air that night! This is what you do to bring an exactly 20 year old song back to life and with such buzz! ;) Vocals, people, VOCALS!! The Orchestra mania continues with another spledid #K25 surprise, this time a little more cheerful song, Kylie's 2000 hit, On A Night Like this! March, 25th 2012: this was just an incredible time for all of us, especially Kylie's native Aussies and her other home peeps UKers, because this time Kylie & Co. prepared TWO surprises! That month came the announcement and such anticipated and much talked about among fans, #AntiTour in Australia and #AntiTour in UK (exactly on March 25th)!!! On April 19th and 20th, Kylie was spotted filming... something! The whole thing really looked like a video shoot, although nobody heard any music playing which left us all wondering what this all was about. We did not have to wait for too long though, because already in May we got this super special #K25 surprise: Kylie and team released a NEW SINGLE and one of the best Kylie videos EVER, TIMEBOMB! And the 3.16-on moment in the video is priceless!!! 2012 Abbey Road shoot we saw few pictures from!! A very much "anticipated video", just as promised by Kylie & Team - another incredible Anti Tour performance of one of fans' favorite songs :) Sit back, relax and enjoy this soulful song! July 28th, 2012 is the exact date when All The Lovers around the world along with their Princess are celebrating 25 (TWENTY FIVE!) years of Kylie Minogue in music industry!! Exactly on July 28th, 1987 her first ever single (the cover version of the 1962 Little Eva hit) Locomotion was released in Australia, lighting up a new star in music, only then nobody had the tiniest idea about how big this little star is going to become! There are not too many artists that have the longevity of Kylie Minogue, so what's her secret, you would ask - even Kylie herself doesn't know for sure! In 1986 Kylie won the part of Charlene, a schoolgirl turned garage mechanic, in Neighbours. The show became a tremendous hit, and viewers tuned in daily to follow the travails of the families on Ramsay Street. Ratings of the show zoomed up when Kylie and Jason Donovan, became romantically linked in both real life and on the show. Australia went crazy for the couple! "It was total madness," Kylie remembers those times few years later in Telegraph interview. "We’d go places and there’d be such enormous crowds we couldn’t get in. Then we couldn’t get out." The interesting thing is that Kylie had never actually planned to launch a music career at the time. In 1994 she told Interview magazine: "I basically wanted a job. I didn’t have that hunger for success then. But I must admit, after the cast of Neighbours did this little musical performance thing, and someone said, ‘Oh, that was great. You should make a record, ’ I did have stars in my eyes." In 1987 it was the No.1 song in the End-of-Year chart in Australia (200,000 copies, received the ARIA Award for the year's highest-selling single; United Kingdom: 440,000 copies, 11th best selling single of the year) and later the No.1 song in Australian End-of-Decade chart . And this is what we've got 25 years later! So, Kylie, HAPPY #K25!!! :) And thank you for twenty five years making amazing music, inspiring millions of people, being brave and thirsty for life, giving people hope and making them believe in a better future!! Wimbledon organizers have bowed to players' wishes by announcing a later start date from 2015, extending the tennis grass-court season and increasing the gap with the French Open, giving players three weeks to adjust from the slower clay courts, they said in a statement on July 19th 2012. "The best interests of tennis will be served by allowing the players more time to recuperate and to adjust from the clay of Roland Garros to the grass at Wimbledon. All our research indicates that there is widespread support within the game for extending the gap between the French Open and Wimbledon and, importantly, we think most players will welcome the prospect of a longer grass court season and spending more time on the softer surface of grass. In making this change from 2015 we recognise that there will be some important consequences for the overall tennis calendar and enough time needs to be given to allow us all to plan accordingly." Players have long complained that the two-week gap between the clay and grass seasons is insufficient. Wimbledon 2015 will run from June 29 to July 12. The Film Festival Locarno is an international film festival held annually in August in the city of Locarno, Switzerland since 1946. After Cannes and Venice and together with Karlovy Vary, Locarno is the Film Festival with the longest history. The main feature of the festival is the open-air screening space in the astonishing Piazza Grande, with room for over 8,000 spectators, and with one of the largest open air screens in the world (26x14 metres). The Locarno Film Festival is well known worldwide to be a festival of discovery. Throughout its history the festival has discovered new trends and launched the career of numerous directors and actors. Although the festival aims at the films, rather than at stars and glamour, several well-known personalities of the international film industry have been to the Locarno International Film Festival in recent years. Kylie Minogue is to attend the festival this year! The appointment is scheduled for Friday, August 3rd, when her presence - petite and slightly aggressive - will enrich the presentation of the Pardo d'onore Swisscom which will be given to a visionary and irregular genius like Leos Carax. Kylie Minogue, in fact, is one of the main performers of the last great work directed by the French videomaker, Holy Motors, which will be screened on the same day at 4:15 pm (La Sala). A performance where - as admitted by the popstar herself - acting and singing found an exceptional meeting point. In the elegant, "cinéphile" mechanism adopted by a feature composed by movies into the movie, Kylie Minogue carves out a musical melò role where she performs in her prodigious octaves before leaving the scene in a dramatic way. Her presence in Locarno is worth the double if we consider that the Melbourne born artist has also a cameo role in the cast of the American Jack and Diane (directed by Bradley Rust Gray) which was selected in the program of the Concorso internazionale. Original Sugababes Are Back: "Mutya Keisha Siobhan"! Welcome back girls!! Original Sugababes members Mutya Buena, Siobhan Donaghy and Keisha Buchanan have confirmed that they’re back together! Siobhan: People seem to say it in that order quite naturally. It seems to roll off the tongue like that. Keisha: Mutya, can I just say something? I found a link the other day which I really want to show you. It’s a clip of you when you’re 16 and they ask you why we came up with the name ‘Sugababes’. And you go: “Well we had to have a band name because we couldn’t have people just calling us Mutya, Keisha, Siobhan.” (Everyone laughs) Amazing! It’s so cute. It’s when you were innocent. POINT TWO: Kiesha is fine about what happened with the Sugababes thanks very much although the details are a bit long-winded. Keisha: Have you got an hour? (Much chortling) Basically, I can’t say too much about it – legally I’ve been told I can’t speak about it. But what I will say is that when everyone else found out I wasn’t in the group is pretty much when I found out. I will say that we had a great relationship, me and the girls; I’ve never had an argument with Amelle in my life. I was really shocked by the things that they were saying because I’d always been there for them, and they were there for me as well… But, you move on, and you learn, and I learned valuable life lessons during that period… I feel like everything has gone full circle and right now I’m exactly where I’m meant to be. And I genuinely wish them the best of luck. I know people are always going to say, “oh, you’ve got to say that”… To be honest with you I was very hurt and disappointed and I did feel betrayed by the whole thing. But I feel like when you don’t forgive people and when you’re very bitter it’s not really doing anything for you. But I’m in a great place, and that’s all I care about. Onwards and upwards. POINT THREE: They've talked about what would happen if someone left the band again. Siobhan: Then that would be the end of that. Keisha: We’ve had discussions. We have a way of working: we trust each other. We look after each other. We are genuinely there for each other. If we were unhappy we’d tell each other and we’d figure it out, between ourselves. Siobhan: Everything is a group decision this time round. Keisha: There will be no overworking people to the point where they’re depressed. There’s none of that stuff. We all have the same intentions. You need that. I’ve always wanted to be part of something where I genuinely felt sisterhood, and I feel like I’ve definitely found that now. Mutya: Well thank you very much. POINT FOUR: This whole reunion thing almost happened in 2009 (but didn't). Keisha: Well, back in 2009 I was contacted by the girls through my lawyer, and they were kind of like, ‘do you want to meet up?’. We all met up. I’d only been out of the band for three months and I’d just had enough of girlbands. I’d had enough of the WHOLE THING… Anyway, basically, they contacted me and we sat together and I actually really wanted to see the girls. Me meeting up with them was more about me wanting to see them than actually thinking about getting the band back together. Because like I say it was only three months after I’d left the Sugababes. So we decided not to do it. And then last year, in 2011, we were contacted by a producer. He put it to us: he said, “let’s record a few tracks and then see”. And we did. And we loved it. Siobhan: He actually called me which was weird because I’d never worked with him before… And I said I’d only do it if it was with the other girls. (Firmly) I didn’t want to do another project on my own. Keisha: We basically said, “yes, but we want to do it on our own terms”. Siobhan: We didn’t want anyone to organise it for us. We wanted to steer the ship ourselves, which is what we did. POINT FIVE: The moment when they all sang together again for the first time was quite special, as you might expect. Siobhan: The first time we sang in a room together and worked out our harmonies and sang them together was recording a song called ‘Too In Love’. Keisha: It was the first time we’d sang together since we were 16 years old. To be honest with you it wasn’t an instant thing. When we were younger we gelled straight away, but we had to learn to blend with each other again. Mutya: It’s been a while! Keisha: Yes. It was when we came to do another song, ‘Love Me Hard’ – that’s when I first properly heard us blending. Siobhan: That’s when we knew that we properly had to get back together. You never know if that magic is still going to be there. If it’s not going to be as magical as the first time around you don’t really want to do it, do you. The minute we sang together, we looked at each other, and we knew. It just worked. Keisha: It was so special to be excited about hearing our voices together, and being excited about our music. On my days off I’d go home and I’d listen to the tracks. I’d be like, ‘I’m really enjoying this’. I just enjoyed our music. Mutya: We’ve got some really good songs. Siobhan: For me, it’s the first time in years that I’ve been excited about even attempting a music project. I’m super-excited. Kylie's "Inner Ibiza" for 2013 ;) Enjoy! Official cover and other pictures! The Hurly Burly Show is directed by William Baker, who is best known among Kylie Minogue's fan-base as a creative director of her shows. His creative team also includes our beloved Mr. Steve Anderson as musical director and Terry Ronald (vocal arrangements) as well as Wayne Cilento (Wicked, Aida) and choreographer Ashley Wallen (Ghost the Musical). The Hurly Burly Show is an all-singing, all-dancing revue with a contemporary twist. Fusing fashion, music and popular culture it is the first major burlesque inspired musical spectacular to be staged in a West End Theatre. Featuring steamy covers and twisted mash ups from artists including Kylie, Britney, Prince, Beyonce, Madonna, Lady Gaga and many more. With a bevy of beautiful burlesque stars, speciality variety artists and fabulous costumes, sets and music, The Hurly Burly Show is playing at the Duchess Theatre for a strictly limited 12 week season. So Kylie, Andres and William were at the last night's opening Gala, looking absolutely stunning! "@hurlyburlyshow was fab. Lots of fun & laughs. Those gals can #SHAKEIT!!!!! Congrats to all!!" 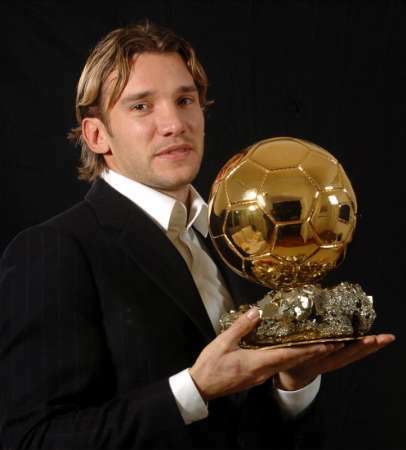 * Born August 8, 1981 in Basel, Switzerland. * Bursts on to the scene in 2001 when he ends Pete Sampras's 31-match winning streak at Wimbledon in the fourth round before losing in the quarter-finals. * In 2003, becomes the first Swiss man to win a Grand Slam after beating Mark Philippoussis in the Wimbledon final. 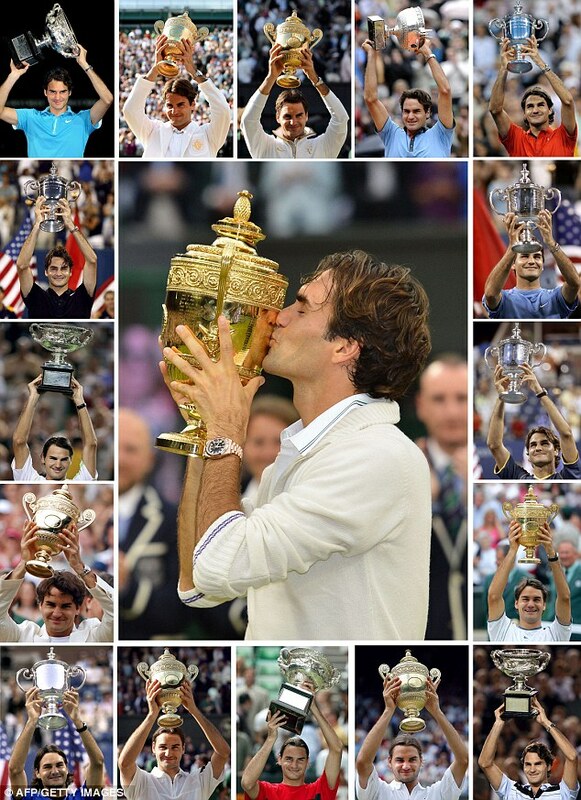 * Is the only man to win FIVE CONSECUTIVE titles at two different Grand Slams - Wimbledon and US Open. * Is the first man to win Wimbledon-US Open double FOUR YEARS IN A ROW. * Is THE ONLY MAN in the professional era to win THREE CONSECUTIVE majors TWICE in his career when he captured the 2007 Australian Open title. 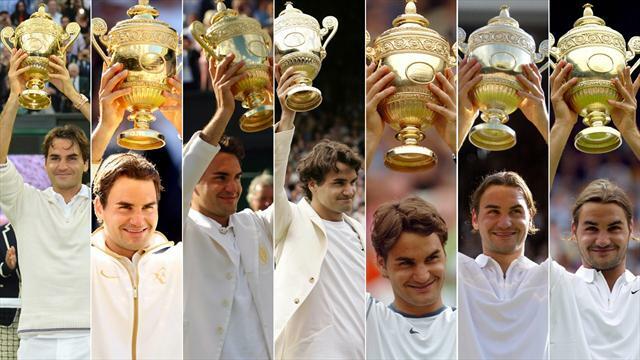 * Equalled Bjorn Borg's record of FIVE CONSECUTIVE Wimbledon titles in 2007. * Reached TEN CONSECUTIVE Grand Slam finals. * His 2009 French Open crown made him the sixth man – after Fred Perry, Don Budge, Rod Laver, Roy Emerson and Andre Agassi - to have won ALL FOUR GRAND SLAM TITLES during his career. (Nadal has since become the seventh to achieve the feat). * In 2006 he reached ALL FOUR GRAND SLAM FINALS, winning in Australia, Wimbledon and the US among a haul of 12 titles and a 92-5 win-loss record. * Breaks American Pete Sampras's record of 14 Grand Slam titles with his 15th win in the 2009 Wimbledon final to reclaim the world number one spot from Nadal. * In 2009, becomes THE FIRST MAN to reach SEVEN SUCCESSIVE Wimbledon finals since the abolition of the Challenge Round in 1922. Reaches a record-equalling eighth Wimbledon final in 2012, extending his overall MAJOR FINAL APPEARANCES record to 24. * His record run of reaching 23 CONSECUTIVE Grand Slam SEMI-FINALS is snapped by Robin Soderling in the last eight of the 2010 French Open. That record is widely considered as one of the most astonishing in sport as it means Federer finished in the top four at a major for almost six successive years. His streak is more than double the previous record held by Ivan Lendl, who reached 10 consecutive major semis. * Becomes the 23rd man to top the ATP rankings in 2004, and KEEPS THE TOP RANKING for a record 237 CONSECUTIVE WEEKS. By winning his seventh Wimbledon title, he also matches Sampras's record of spending 286 weeks as world number one. * Holds a record run of 24 CONSECUTIVE FINAL VICTORIES, which was snapped when he lost 2005 Masters Cup final to David Nalbandian. Finished the season with an 81-4 win-loss record. * Has a professional era record of 65 CONSECUTIVE WINS on grass, which was ended by Nadal in the 2008 Wimbledon final. * Won an OLYMPIC MEN'S DOUBLES GOLD MEDAL with Stanislas Wawrinka at the 2008 Beijing Games. * Won an OLYMPIC MEN'S SINGLES SILVER MEDAL at the 2012 London Games fresh after the 7th Wimbledon win few weeks before. * Suffered from a bout of glandular fever at the start of the 2008 season which affected his form. * Married long-time girlfriend Mirka Vavrinec in April 2009 and celebrated the arrival of twin daughters three months later. A bet placed nearly a decade ago by a tennis aficionado has won a British charity more than £100,000 after tennis legend Roger Federer secured his 7th Wimbledon win. Nicholas Newlife was so blown away by the 21-year-old Federer's brilliance in winning Wimbledon for the first time in 2003 that he went out and put a vast bet on the Swiss superstar to tie Pete Sampras's record of seven titles. The man placed a £1,500 bet at odds of 66/1 with bookmaker William Hill - but sadly he died three years ago before getting the chance to see his prediction come true. Newlife's loss was charity's gain, however: when the high-rolling punter died in 2009, he left all his belongings to anti-poverty charity Oxfam - and among them were his long-range betting slips. "Nick Newlife was a keen gambler on sports, and in particular a great tennis fan ... but sadly he did not live to see Roger land perhaps the most spectacular bet we have ever taken on tennis," said William Hill spokesperson Graham Sharpe. The payout of £101,840 is the first of its kind in 40 years, and the charity says the money could feed 10,000 families in famine-hit West Africa for an entire month. "All of Oxfam have been cheering Federer's progress for the past couple of weeks. The real hero, though, must be Mr Newlife, for his generous gift and his tremendous sporting acumen," said Oxfam marketing chief Andrew Barton. It's not the first time that the charity has benefited from Newlife's betting: one of his other bequests to Oxfam was another betting slip which netted the charity £16,750 in 2009, when Federer won his 14th Grand Slam title. A sweet, intimate and very insightful 15-minute interview by Yahoo! Music from June 2012, where Kylie talks all #K25, what's been going on during this special celebration year, her new movie Holy Motors and her experience coming back to acting, tour costumes and images over the years, Abbey Road sessions recordings, The Best Of release and headlining the upcoming Hyde Park closing night where she is going to reunite with Jason Donovan to perform their 80's hit Especially For You (check out that part - Kylie&Team are planning a very exciting performance of the orchestral hits!)! Wimbledon 2012 Champions - Roger Federer & Serena Williams!! This year's Champions: Roger Federer and Serena Williams! "Feels great being back here as the winner. Feels nice, like it's never left me." Welcome Women's Wimbledon Champion 2012 - SERENA WILLIAMS! Williams was a heavy favorite coming into the match, everyone was talking about her demolishing Pole Radwanska, taking the 1st set in a little more than 35 minutes, 6:1. After a delay due to rain, Serena continued to rally along the match, leading 4-2 in 2nd set, but loosing her concentration and perfect game for a while and giving Radwanska the perfect opportunity to break back and later break Williams' serve in 12th game to finish it up 7:5. Williams looked in trouble when she fell 2-1 behind early in the third set, but regained her consistancy to break for a 3-2 lead before she converted a drop shot to break for a second time to lead 5-2. She closed out the match 6-1 5-7 6-2 with a backhand winner and fell backwards onto the Centre Court in celebration before racing off court to her family. "I never dreamed of being here. You just never give up. Aggie played so well, and she did an amazing job,"
Absolutely stunning game from both players, amazing range of different shots, some unbelievable winners and rallies, 2nd longest game in a history of Wimbledon: 20 minutes, 26 points played, 10 deuces, 6 break points (1 converted by Federer) - definitely entertaining and was such a pleasure to watch these two great players at their peak! Tearful Murray was the first British player to reach the final of the London tournament since Bunny Austin lost to Don Budge in the 1938 final. He was attempting to become the first British winner of the event since Fred Perry two years earlier. Andy said: "I'm getting closer. The support has been incredible so thank you. I'd like to congratulate Roger. He is such a great champion. Was this my best chance? Roger is 30 now. He showed what fight he still have left in him after having back problems earlier in the tournament." Roger Federer: "I think he (Andy) will at least win one Grand Slam. This is what I hope for Andy. I think I played some of my best tennis in the last couple of matches. I couldn't be more happy being back here as the winner. It is a great moment. It feel nice to get my hands back on the trophy." Congratulations to the Champions and respect to the Runner-Ups - you put on a great game!!! Thank you!